PROMOTIONAL DISCOUNT! All birdcage veils ordered through Eileen Treacy Couture for the month of January, 2016 will receive a 20% off discount. 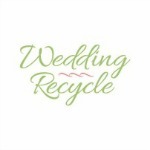 Just mention this blog post when you contact Eileen! 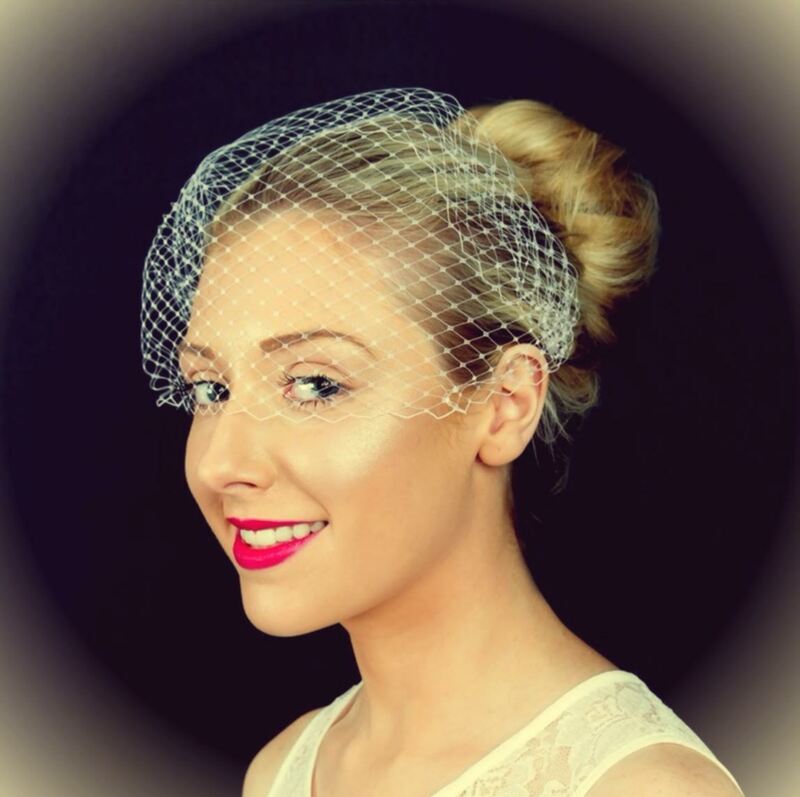 Bird Cage veils are extremely popular for both vintage inspired wedding styles, as well as modern day looks. A vintage inspired veil can be the perfect touch for expressing your unique bridal style. By pairing your birdcage veil with a fascinator hair piece it further allows you to express your personal bridal style. Vintage birdcage veils come in several different styles and lengths. Let's take a closer look at the most popular styles and help find you, your perfect bird cage veil. By far the most popular, this veil looks great with many different hairstyles and fascinators. Typically this veil is made with 9 inch wide veiling, gathered up into a "cage" shape and attached to a half comb. 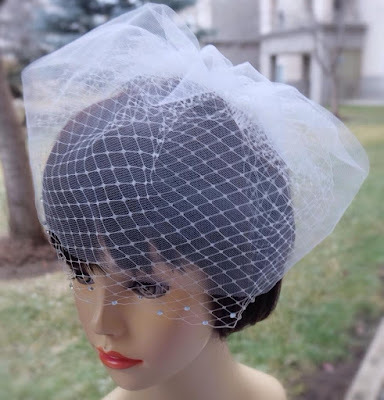 This veil is worn asymmetrically, fastened to the head with comb or bobby pins 3-4 inches above the hairline (place it right where your part is if you part your hair to one side.) It gently sweeps over the eye and gives you a very whimsical, romantic look. You can also place it down a bit towards the ear even for a little more drama. 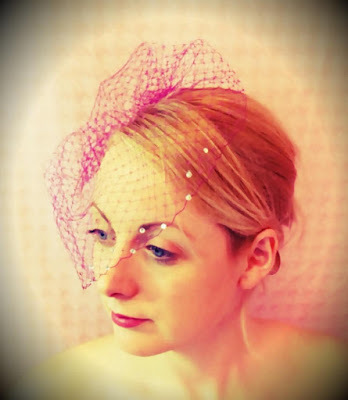 Bird cage veiling comes in a vast array of beautiful colours. Very simple and elegant . The bandeau is easy to position and detach. This veil typically fastens to the hair right behind the top half of each ear with small simple bobby pins. This veil works beautifully on its own. 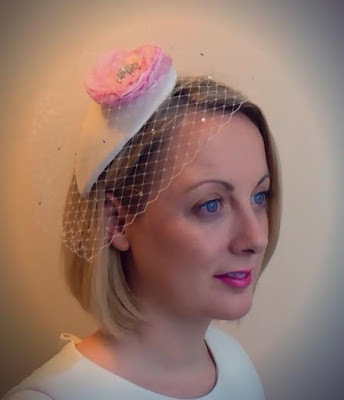 However my preference is to add a small fascinator on one side, usually the right side. This adds to the vintage drama of the beautiful bandeau veil. A smaller more discreet version of the blusher bird cage veil. The mini veil also sits asymmetrically. 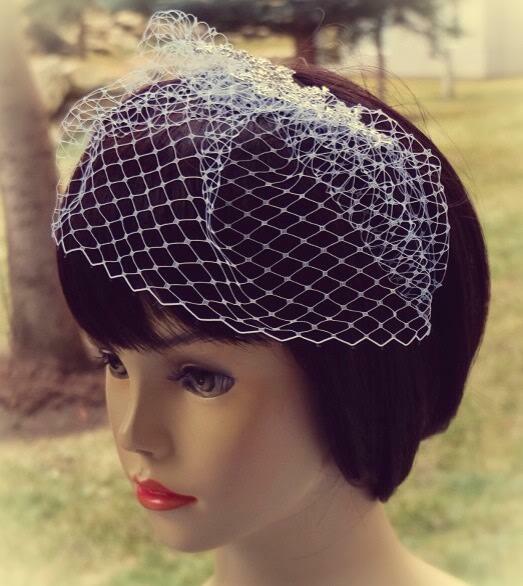 A fascinator or a headband works nicely with this 5 inch drop veil. You may also choose to incorporate birdcage veiling into the design of you custom bridal fascinator. The veil is typically made with 12 inch drop, covering most of the face. Position the gather at the crown of the head with a comb and let it wrap around. Use bobby pins to secure and style it to your liking. I find that a veil with a comb attached works great for updo's, and then using bobby pins you can further style the veil. If you are wearing your hair down or your fascinator has a comb attached, you might consider ordering the veil without a comb attached. Use bobby pins to secure the veil. For any hairstyle other than an updo, make the comb extra secure using this little trick: comb it to a pin curl. Take a lock of hair and curl it up into a "circle" and pin it to your head using bobby pins to make an "x". Then slide the comb in against the scalp behind the x. Your comb will stay extra secure! 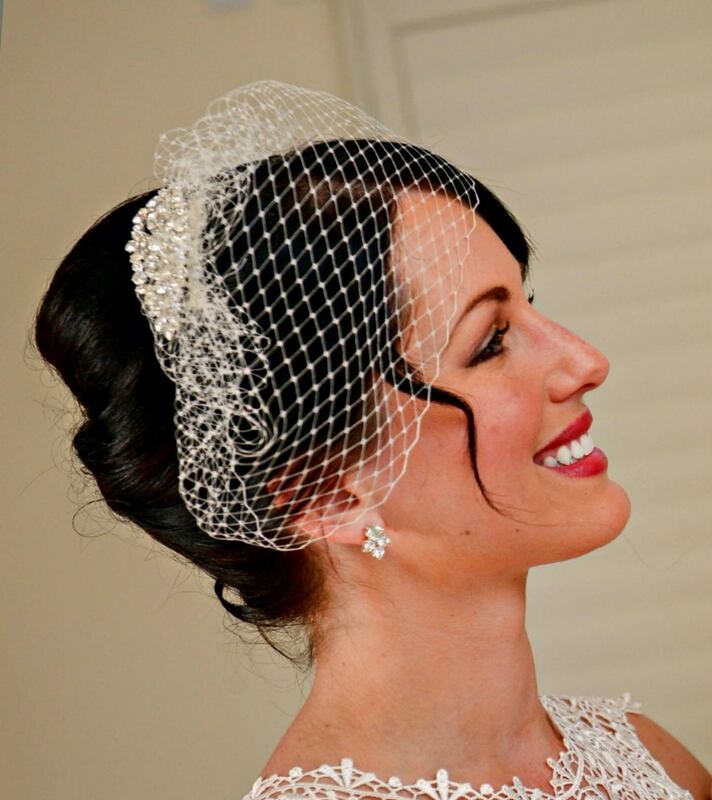 Eileen Treacy is Calgary's first birdcage veil specialist. 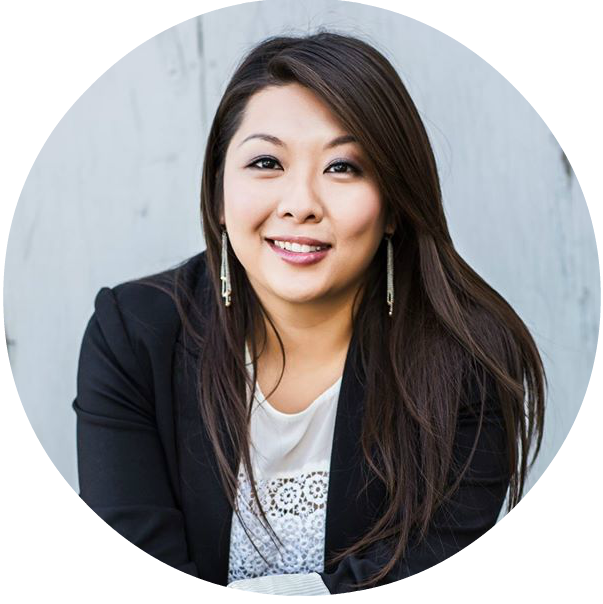 She has been featured in Luxe by Calgary Bride and the Calgary bride blog. She designs both unique custom and ready to wear bird cage veils. Allowing Calgary brides to personalize their birdcage veils and bridal headpieces with the finest materials. With an extensive range of Swarovski, Pearl, silks and feathers, to choose from, you will be spoilt for choice. How To Take The Best Engagement Ring Selfie!